In this blog post, You will learn how String conversion from Boolean type in go language with examples. 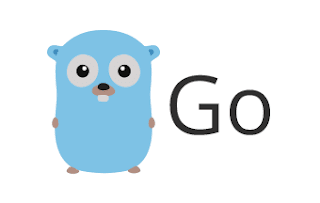 string and bool are predefined data types available in Golang. String accepts a group of characters, bool accepts true or false values. for example, string type contains value - "true"|"false", bool type contains values - true|false. In Go language, String conversion will not happen automatically. We have to write a custom manual lcode or use standard packages - fmt or strconv to do that. There is an easy way to convert String to Boolean in Go Language. strconv package provides functions - strconv.ParseBool() function which do string to bool conversion. strconv package provides many functions to do conversions from to and from string values. ParseBool() function takes boolean value in the form String("true") and returns a boolean value. For Example, if you send "true", It returns the equivalent boolean primitive value true. if you send "false", return boolean false. This function accepts string and return bool value type and error. FormatBool() function accepts boolean value and return string format of boolean value Here is an signature of FormatBool() method. This function accepts boolean value - true or false. It returns the string "true", "false". fmt package provides string formatting functionalities. Sprint function accepts boolean or any value and return a string. Performance wise, strconv.FormatBool() function is faster than fmt.Sprint() function. Please Like and share this post if you like it.